With the spirit of serving humanity, the trustees of the organization have undertaken multifarious schemes and projects in various parts of the country to serve the downtrodden section of the society. Thus, the volume of activities has enlarged manifolds. In order to reach out to the poor, the organization, in collaboration with like-minded social organizations, is implementing various schemes and projects within the organizational frame work. In doing so, time bound implementation, efficient delivery of the assigned projects and maintaining full transparency has always been remained a top priority of the Trust. A highly pious person, Haji Ajmal Ali considered his fortune to be a gift of Almighty to be used to mitigate the plight of his fellow countrymen. Born in a family of marginal farmer in 1923, Haji Ajmal Ali had his early education at Alinagar near Hojai and later on in Nilbagan High School. His father Late Haji Abdul Majid was a very God – fearing person. From his young days Ajmal Ali shared the family burden with his father.He then got into Agar wood business and within a span of 30 years he reached the Zenith of the internationally famed perfumery business for his hard work,honesty, sincerity and dedication. A simple unpretentious lifestyle marked by sincere devotion to serve his poor and needy countrymen with compassion, had been the hallmark of this quintessential personality. In his early days, Haji Ajmal Ali had to suffer the agony of witnessing untimely demise of many of his kiths and kins and neighbours, mostly women, for lack of medical facilities in the locality.He realised the need of a hospital and resolved to set up one in Hojai. Later when fortune favoured him and he rose to prosperity his desire to transform his long cherished dream into reality became exigent. He was not carried away by his newly acquired wealth, fame and comforts. He made a small beginning by setting up a Charitable Dispensary at Hojai in 1986 in memory of his late father and named it “Haji Abdul Majid Memorial Charitable Dispensary”. The response was overwhelming. Hundreds of patients, mostly poor and have nots, came every day from far and near and received free treatment and free medicine. To cater to the increasing needs of the burgeoning patients Haji Ajmal Ali decided to go for a modern 350 bedded hospital. Inspite of heavy odds, the Project succeeded and finally his dream came true when on 16th September 1995 Noble Laureate and saintly personality Mother Teresa inaugurated the hospital “Haji Abdul Majid Memorial Hospital & Research Centre” at Hojai. Since that memorable day thousands of needy and distressed people have received free treatment and today the Hospital stands benign and imposing, testifying the compassion and fellow feeling of this humble yet rarest of souls. 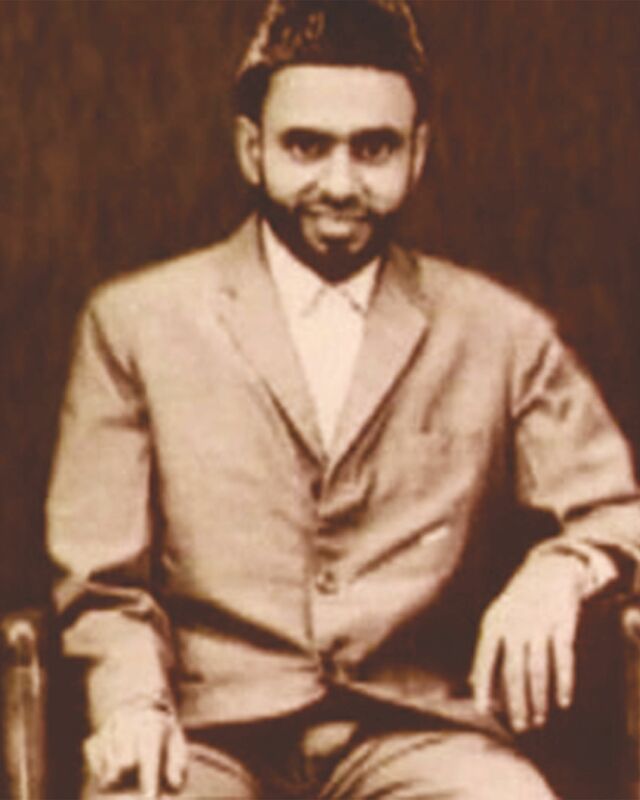 A philanthropist and humanitarian par excellence, Haji Ajmal Ali, till the later years and months of his life, visited the hospital to encourage the doctors, nurses, paramedics and staff to serve with devotion and selflessness for the cause of the poor and the distressed. This being the dominating voice from the recesses of his pious soul, humanitarian and social activities became Haji Ajmal Ali’s consuming passion which he carried out with full devotion till the last breath of his life. The rich humanitarian legacy bequeathed by iconic personality Haji Ajmal Ali found expression in the springing up of many institutions and organizations – a realization of the dream cherished by the visionary, a natural flowering of his tireless and inspiring efforts. Parallel to the phenomenal growth and expansion of the activities of AJMAL business house, a concomitant rise in its host of welfare and charitable activities have become a living reality and a roving force. With the realization of its social obligation synchronizing with Corporate Social Responsibility (CSR), a host of developmental and welfare programmes have been launched by the three main organizations of AJMAL CSR initiative. His wife Late Maryam Ajmals’ contribution was no way less than Late Haji Ajmal Ali and she always stood firm behind every venture that Late Haji Ajmal Ali undertook. She was a messiah for all suffering women of the neighborhood including widows, wage earners, unmarried girls and school children who used to be benefitted by her. Haji Ajmal Ali breathed his last on 17th Feb’2009 at his Mumbai residence leaving behind five illustrious sons & two daughters.